Korean cross platform mobile chat service Kakao Talk is now seeing more than 1 billion text messages pass across its service every day, according to a report from The Chosun Ilbo. 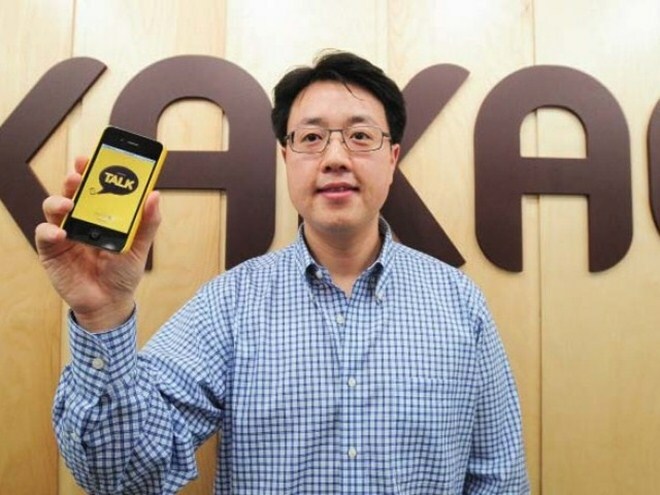 The service is hugely popular in South Korea, where almost everyone that owns a smartphone uses Kakao Talk. In light of that popularity, it is quite incredible that the service has hit the milestone as it has only been running since March 2010, that translates to an impressive average of 10,000 messages per second. The free application is available for the iPhone and Android with a beta version for the BlackBerry recently released. The concept is similar to the hugely popular WhatsApp, and Kakao Talk users can send and receive a range of messages, including text, photos, videos, voice and contact information. The also service supports group chat and one-on-one communication and caters to Asian Web users by offering emoticons and in-chat graphics. However, unlike some of its more established rivals, it is strictly a messaging client and doesn’t provide voice calling. The basic offerings revolves around profiles, which can be customised with a photo, permanent ID name and status updates, all of which are much like a social network. In Korea and Japan, social networks are frequently promoted by celebrities, which explains why Google+ recently linked up with AKB48, a super girl band in Japan. One of the hooks for Korean users is tie-ups with celebrities and bands, including Girls’ Generation and Super Junior, and both outfits have more than 500,000 ‘friends’ on the service. Fans can use the service to get a closer experience with their idols and download a range of merchandise for their phone, such as wallpapers. Companies are also tapping the service as a new communications channel to reach their consumer audiences. While those that are not in it for the celebs or brands are more than likely to have most of their friends using the service, which is reason enough to join up and forget about using SMS ever again. Despite impressive usage and user numbers, the service has been criticised for failing to generate significant income, as it reportedly pockets just two percent of all revenues. The firm recently announced plans to increase its international presence as it seeks to grow alongside the worldwide smartphone boom, particularly across Asia. As of now, the platform has more than 30 million members — of which are actively daily — while the company claims that 6 million are users based overseas. A number of startups and tech and mobile firms in South Korea have begun targeting global markets after realising the limitation of operating solely in the country. Korea’s smartphone boom, however, does provide a significant market and — with games recently now legally on sale for Apple and other OSes — Korea’s developer community looks set to emerge with greater strength.